Polar bears are the quintessential Arctic predator, but there is another equally well-adapted creature to this cold icy environment, the Snowy Owl. While we were sampling at the mouth of Amundsen Gulf, in the distance a large bird was flying towards the ship. 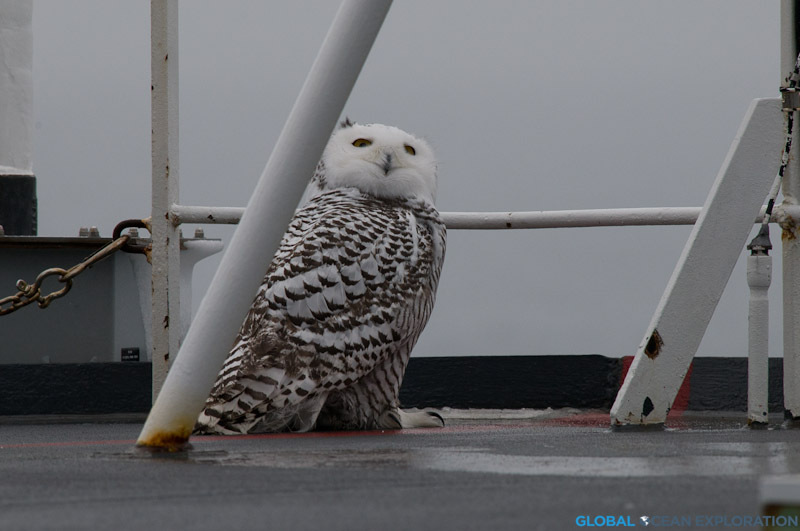 As the bird approached the ship, it became clear that it as a Snowy Owl soaring majestically around the ship. Next thing we knew there was more than one and we had at least four owls flying around the ship! 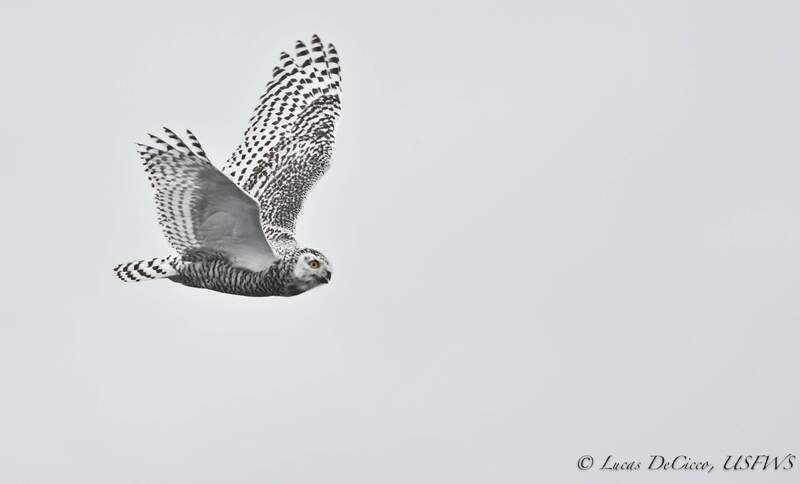 It was incredible…a flock of Snowy Owls just coming by to check us out!